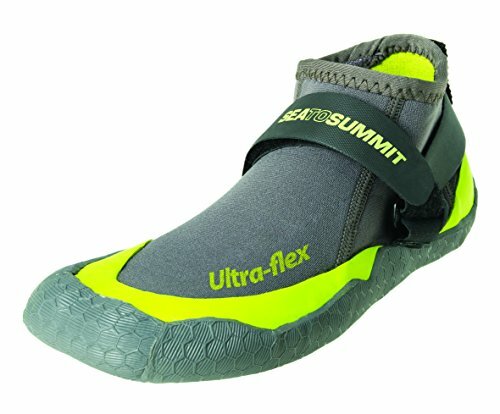 What makes a kayaking shoe different to typical water shoes or everyday shoes? Kayaking shoes typically are made of neoprene, are flexible, and are perfect for helping you maneuver in and out of your kayak. No matter if you’re a beginner kayaker or have been paddling for a while, proper footwear is key to a comfortable experience. 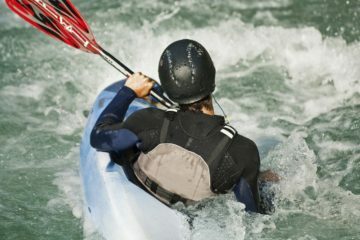 But with so many different types of shoes on the market, how do you know what the best kayaking shoes are for you? Here at The Adventure Junkies, we’re obsessed with the finer details and discovering the best gear on the market. In this guide, we’ll walk you through how to choose the perfect pair for your climate and ability. We’ll also show you our top picks for kayaking shoes of the year. Kayaking shoes come in a range of thicknesses and materials that are largely tailored to the temperature of water you’ll be kayaking in. 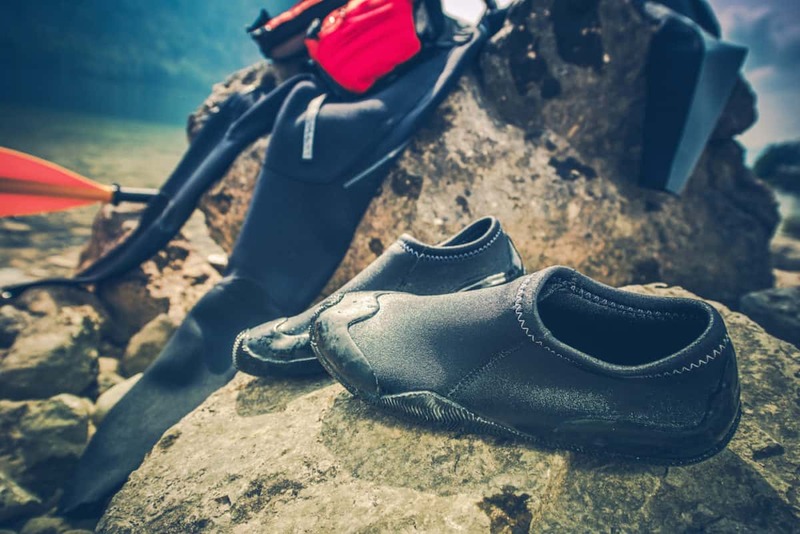 Cold water kayakers will want a thick neoprene or waterproof shoe, while those in warm water will need something with airflow to keep feet from overheating. 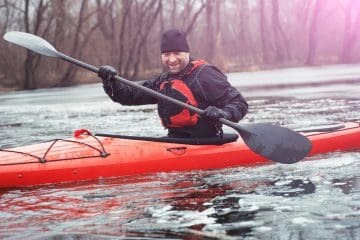 In general, cold water kayaking shoes will have thick neoprene, 4 mm and up, and might be cut above the ankle for extra warmth and protection. 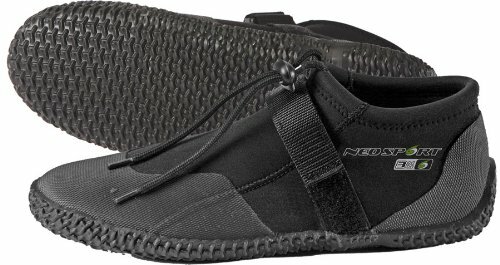 Warm water kayaking shoes will likely be made of thinner neoprene, mesh, or a rubber sandal style. 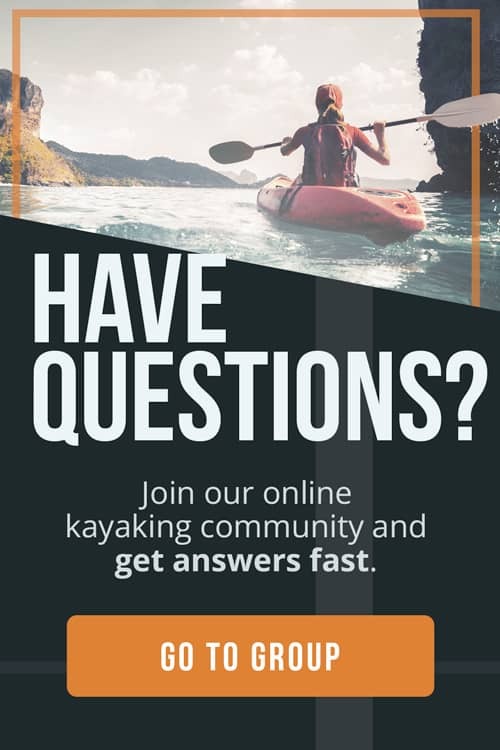 In an article about kayaking clothing from Paddling.com, they advise kayakers to never wear cotton (this includes socks) while kayaking because it draws heat away from the body and takes too long to dry. The temperature you’ll be paddling in should be one of the biggest considerations you look for when choosing the best kayaking shoes. When in doubt, get something that’s a little warmer than is necessary because it’s easier to cool down feet than warm them up when kayaking. Dress correctly, and you can even explore the wild waters of Antarctica from the comforts of a kayak like Antonio and Amanda from The Adventure Junkies have done. Will you be scampering up jagged rocks? Wading through mud? Treading through pebbles and sand? Or stomping through marshes? Each terrain you explore on your kayak excursion dictates the type of kayaking shoe you’ll want — especially if you’re hopping in and out of your kayak often. By the way, did you know there’s a proper way to get into a kayak? 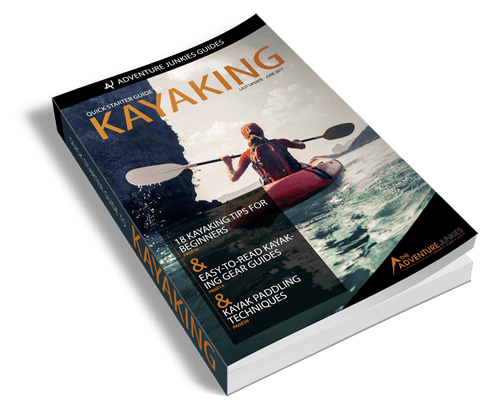 Check out our guide that explains how to climb inside your kayak with ease. You’ll want a kayaking shoe with a thick sole if you’re going to be walking over jagged rocks, tread for smooth surfaces, and a tall, closed-shoe if you’re walking through sand or pebbles to prevent blisters. 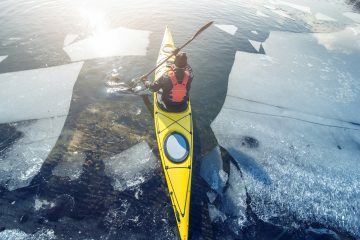 Kayakers often find themselves in slippery situations. The combination of moss, water, and wet rocks near bodies of water can create a catastrophe for adventurers. Fortunately, BC Forest Safety has a guide on navigating through this slippery terrain safely and with ease. Wearing sturdy shoes is essential. Consider where you’ll be kayaking most of the time and choose your shoes based on that. 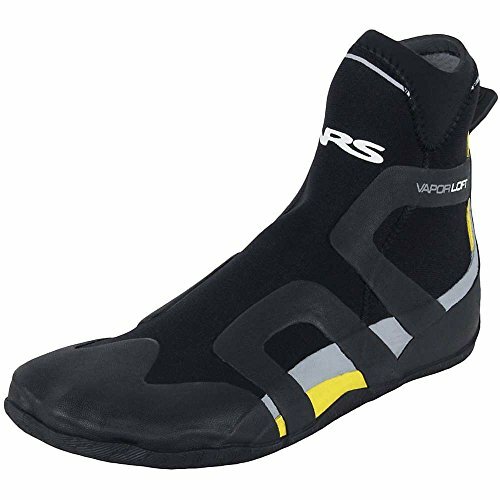 If you’re kayaking around variable terrain, then opt for an overall shoe that suits the average temperature. 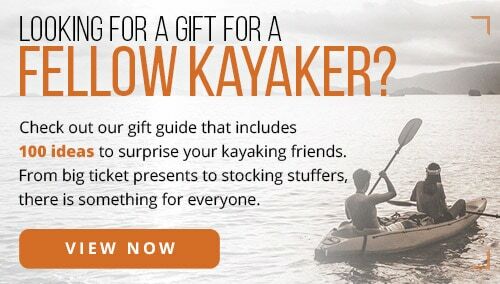 Kayaking shoes typically come in three heights, low-cut, ankle, and knee height. 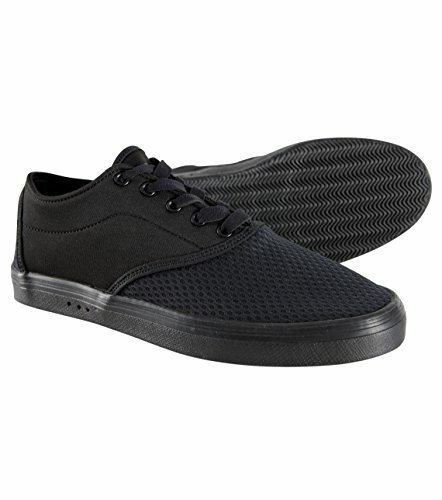 Low-cut shoes work best in warm weather and offer a lot of comfort and flexibility. 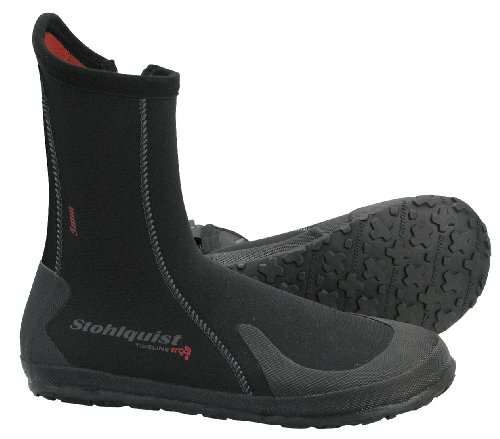 These are best if you’re looking for minimal protection while hopping in and out of a kayak. They’re often made of mesh or thin neoprene, meaning it’s easy to cool your feet off with a quick dunk into the water. 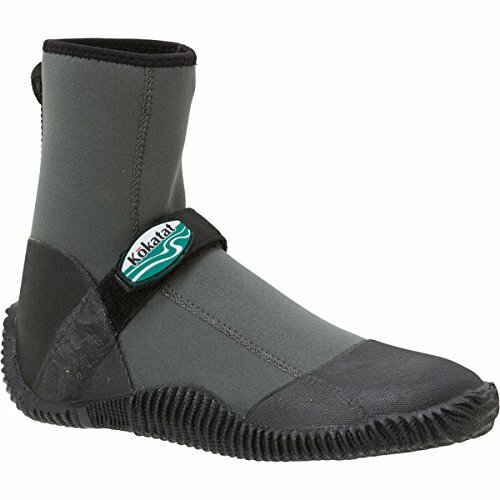 Ankle high kayaking shoes are a little bit warmer and offer more support than low-cut shoes. 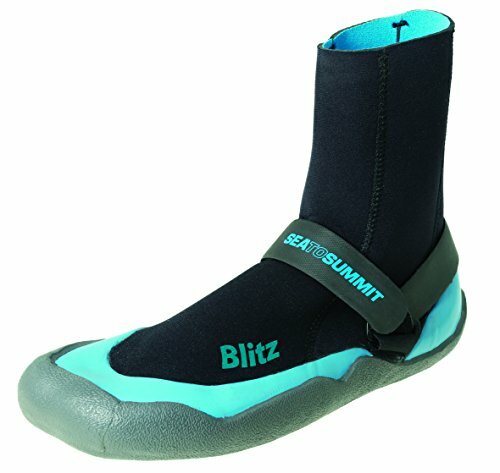 These are typically found in overall kayaking shoes as they’re versatile and tend to come with thicker soles. They’re easy to put on, pack, and wear. 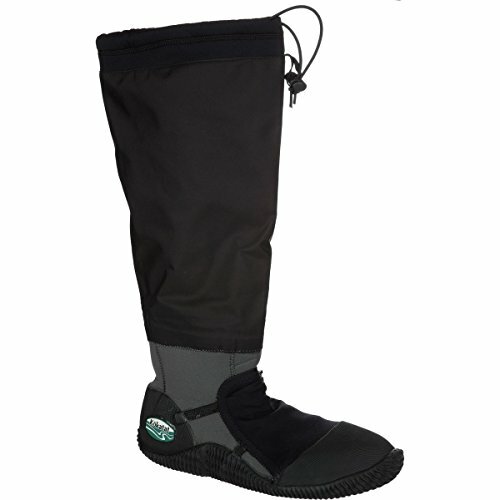 Knee high shoes are loved by cold-water kayakers who need extra warmth or waterproof shoes when wading in and out of the water. Surf kayakers, who are no strangers to getting wet, also tend to gravitate towards these. 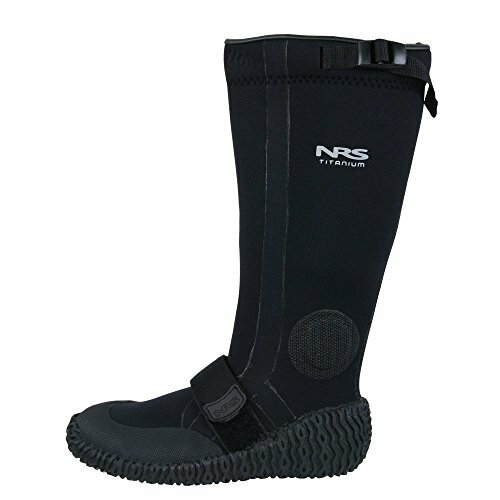 Knee high shoes should be very snug to prevent water pooling inside because this can be dangerous and restrict movement if the kayak capsizes or the kayaking falls into the water. 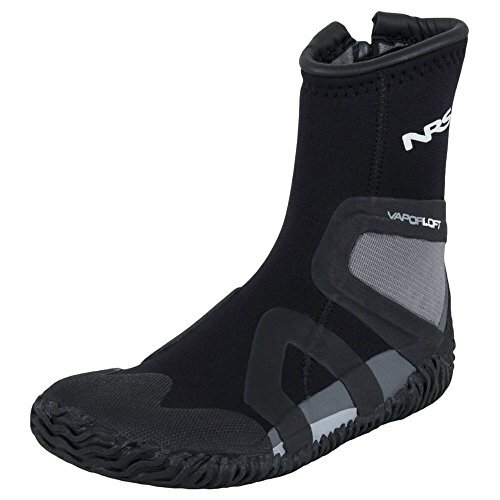 Your kayaking shoes should be more snug than the shoes you wear in everyday life, especially if it’s made of neoprene. Think of it as fitting more like a glove or a sock. Too tight, and you might have foot cramps after just a few hours of paddling. Too loose, and you risk having water pooling inside, debris coming in, and getting blisters. A bulky shoe might also not be compatible with the inside of your hull if you have a kayak with small footholds. You should be able to flex your foot, including your toes, comfortably, but not have any loose material. Keep in mind that neoprene expands and becomes more flexible in water.